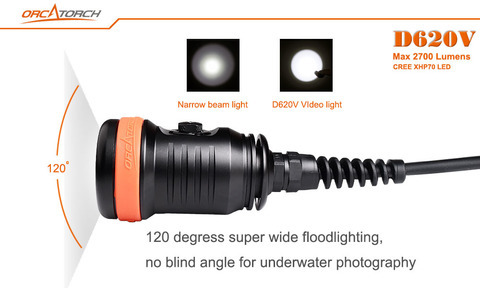 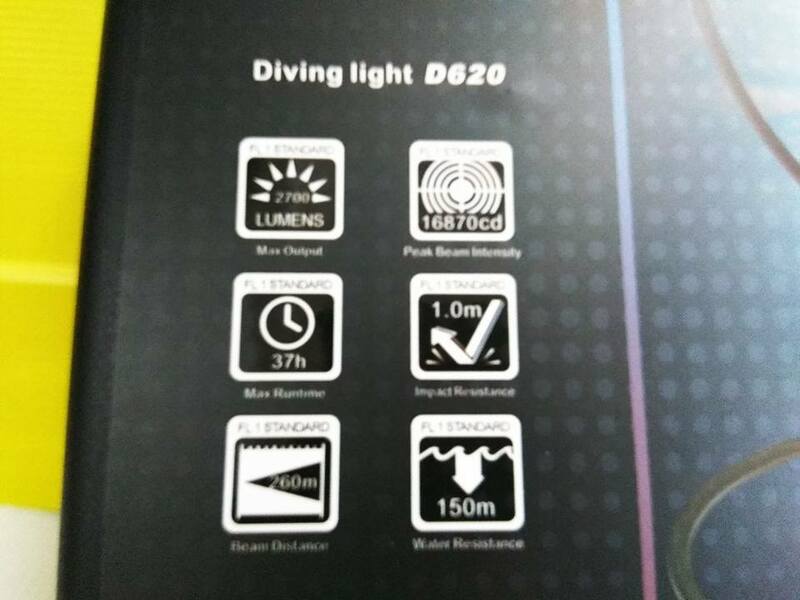 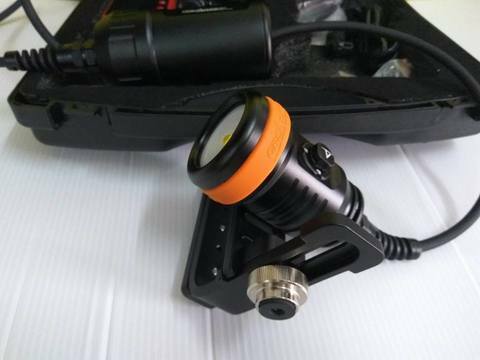 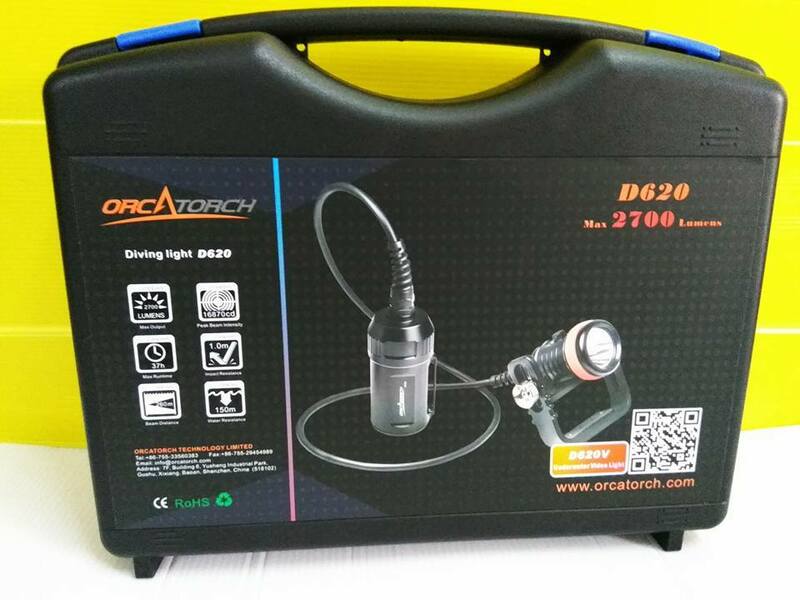 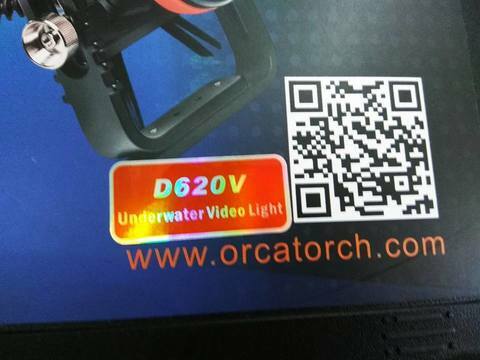 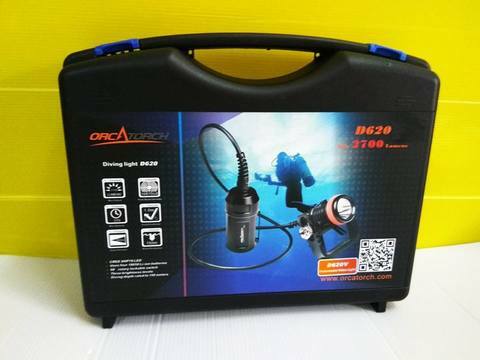 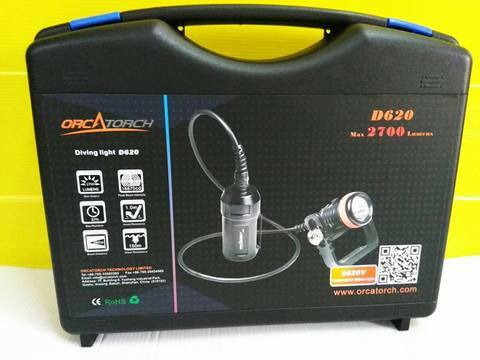 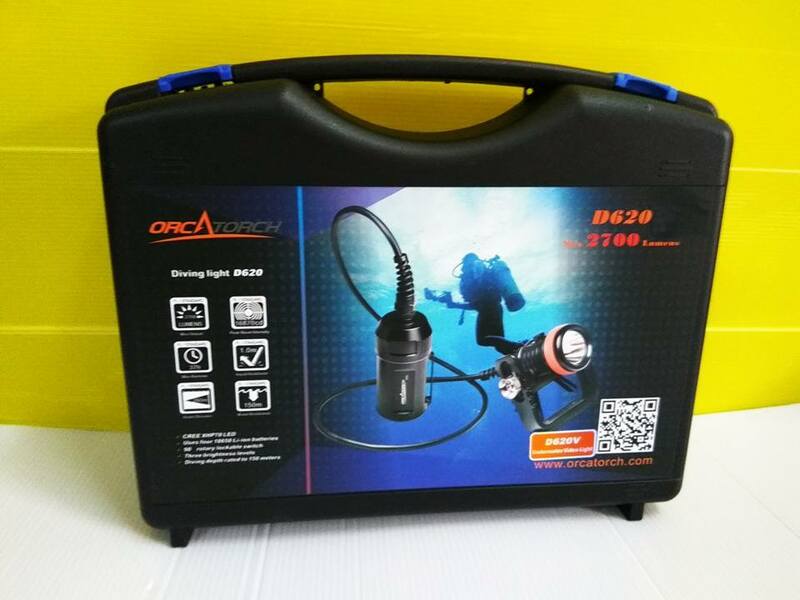 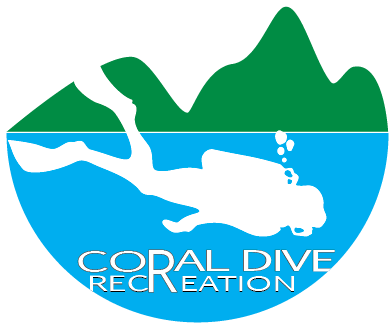 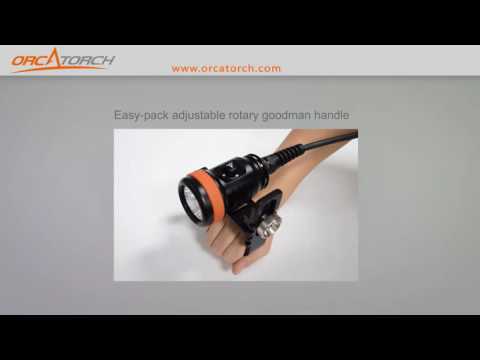 ORCATORCH D620 is a primary canister video light specially designed for underwater adventure such as scuba diving and cave diving. 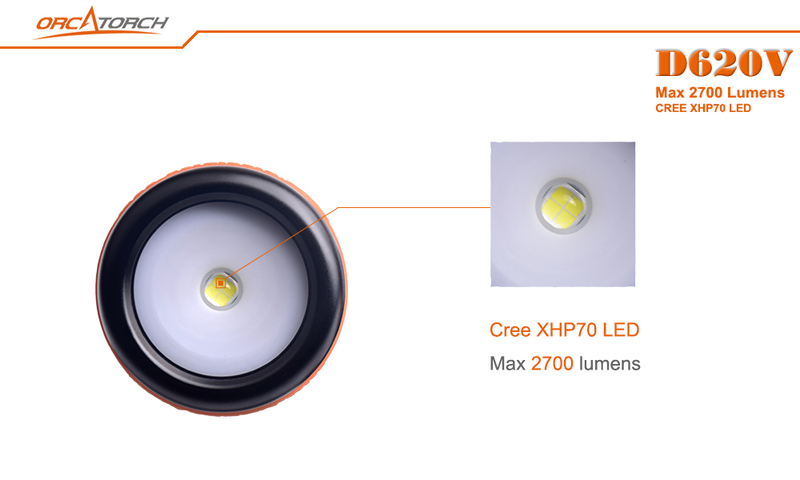 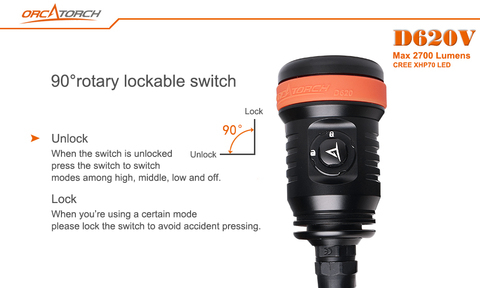 The newly designed switch can be locked when rotated 90 degrees, which not only offers easy and reliable operation but also avoid turning on the light accidently. 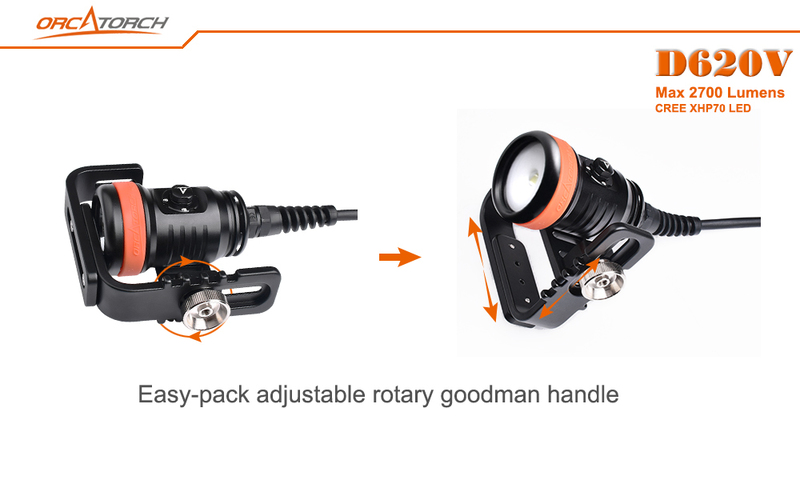 The included easy-pack adjustable rotary goodman handle is easy to be assembled by hand. 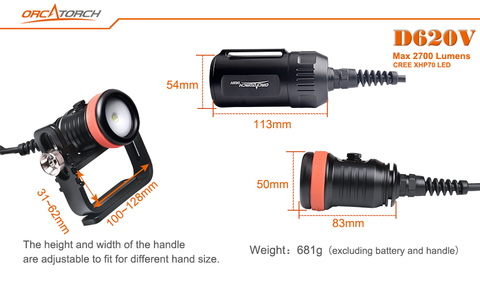 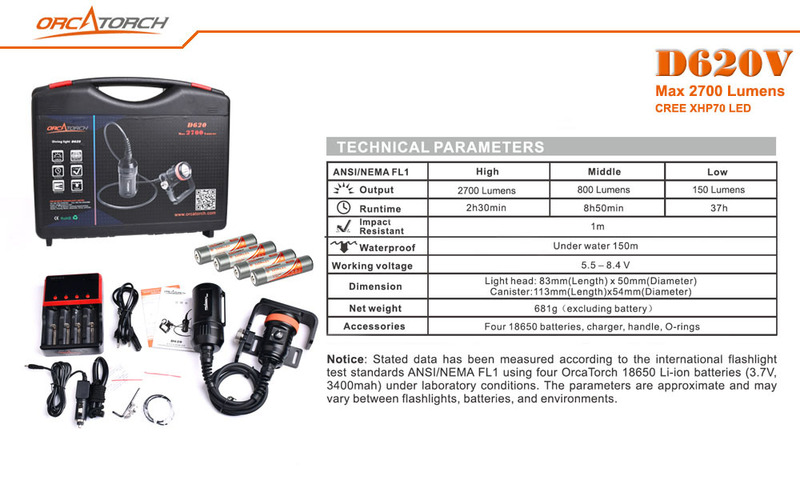 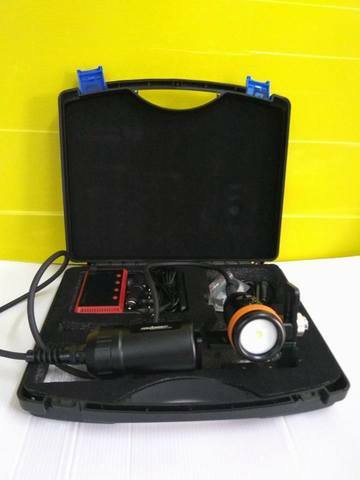 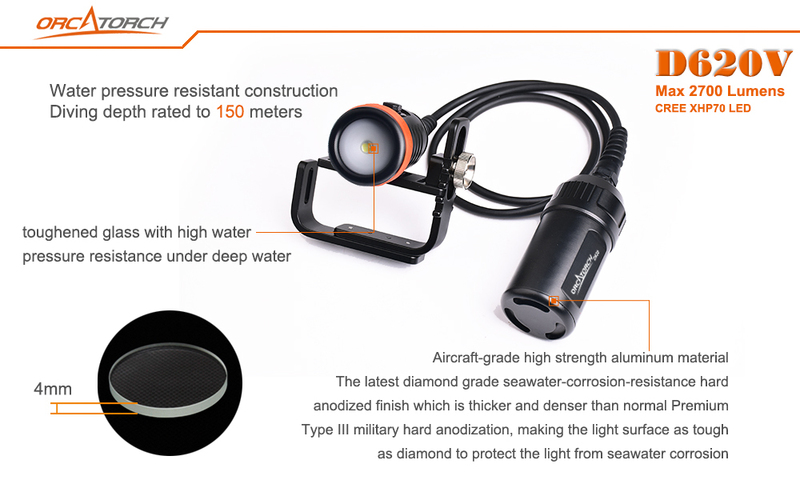 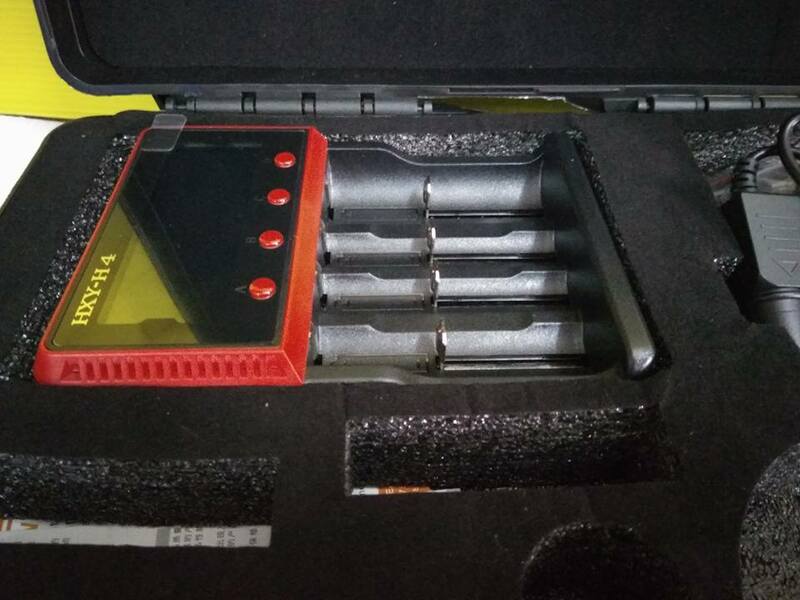 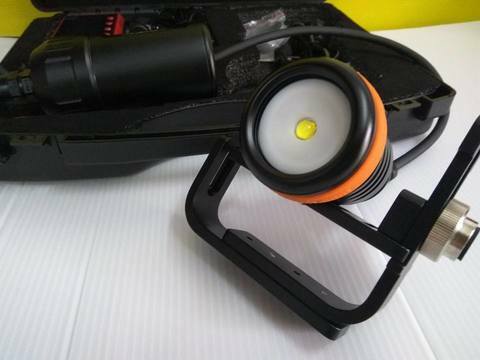 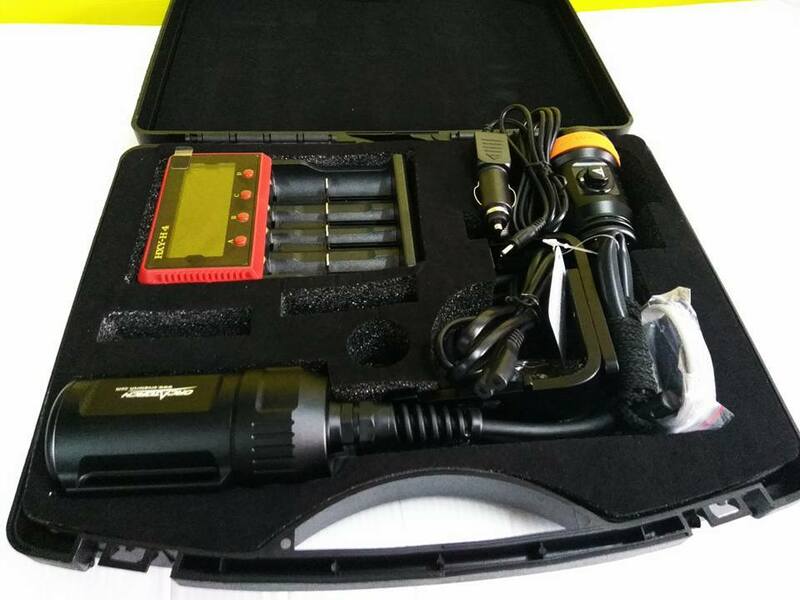 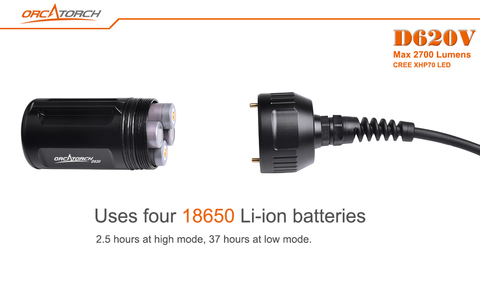 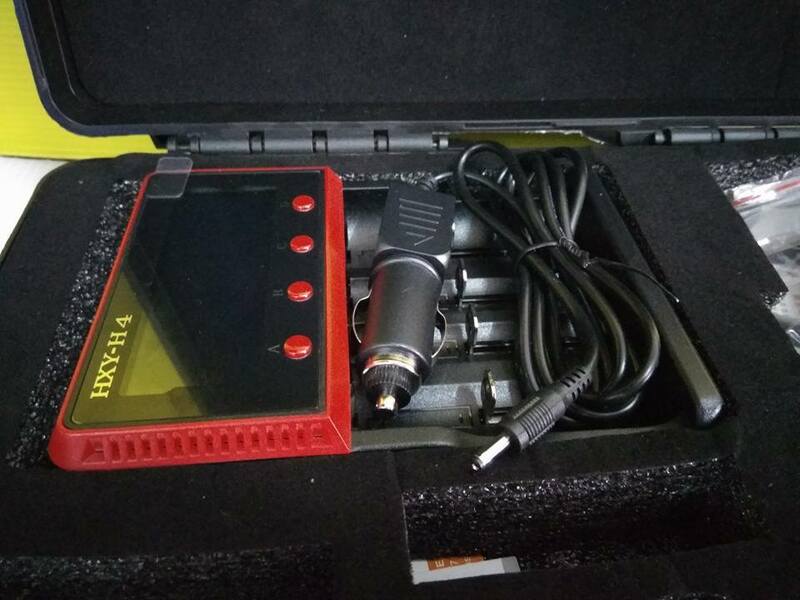 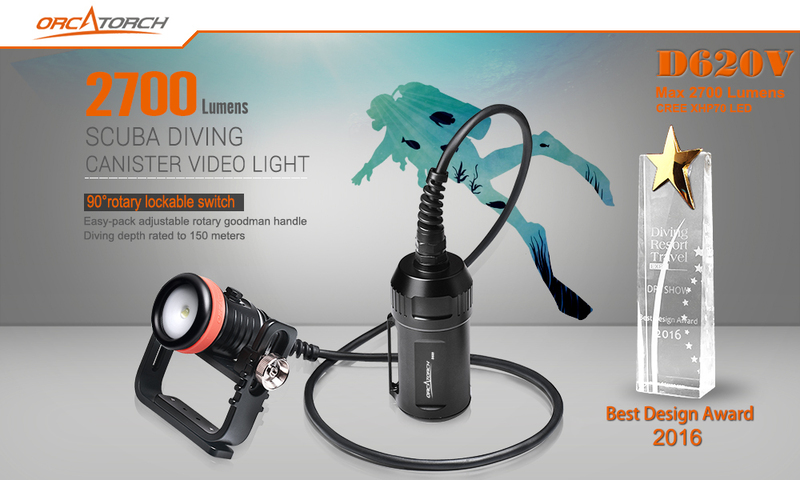 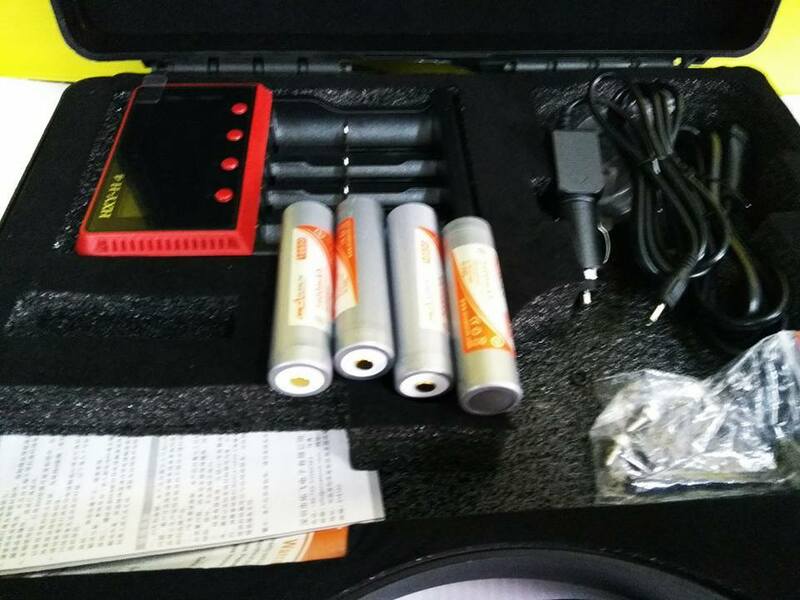 The light uses 4 pcs 18650 batteries, and has a max output of 2700 lumens, which makes it a very useful tool to meet your underwater needs.